“Our delight as Christians is in knowing God and walking in His ways – firmly grounded in His word. It is not the way of the Lord to live in the counsel of the ungodly – following their advice. In other words, we don’t listen to what the world says we should do, but we do what God’s word says to do. We don’t stand in the path where sinners walk. In other words, we don’t walk down the path they are walking, coming under their influence. We don’t sit down to rest where the scornful and mockers gather – to be seen as like-minded with them. God’s ways are so different to the world’s ways. The times we live in today are hard. There is so much the world is telling us that seems all right on the surface – but it’s lies masked as truth. We need to pray that God would show us the truth in the midst of it – seeking His counsel in it. 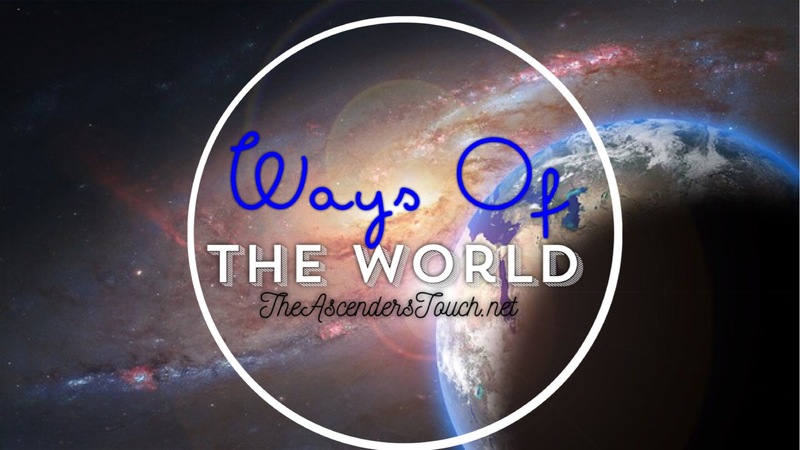 Prayer Starter: Your ways, Lord, are not the same As what the world displays. Help me, Lord, to see the difference and choose to walk your way. Posted in AscendersTouch, Life LessonsTagged Bible, Church, devotional, fruit of the spirit, God, Holy Spirit, Jesus, Life, Love, religion, spirituality, worldlyBookmark the permalink. Reblog: 2016 is a Year of Jubilee! !